All dogs are wonderful, but we have a special place in our heart for terriers (what, how did you guess?). 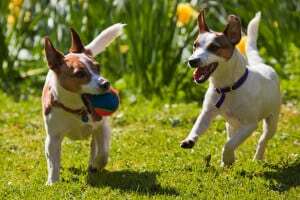 While terriers share some things in common - their trademark scrappiness, to name one - each breed also has distinct characteristics. Check out these in-depth profiles of some of the most famous terrier breeds. If you don’t know a Shorkie from a Schnoodle, this guide is for you.